I have come across the statistic below more and more frequently over the last few weeks. I first saw it in a presentation by Fujitsu at our Rainmaker event last summer but have since seen presentations from Oracle and Salesforce and many others that also incorporate it. I thought it'd be fun to turn it into a simple graphic that helps visualise how important adding insight is to your buyers. 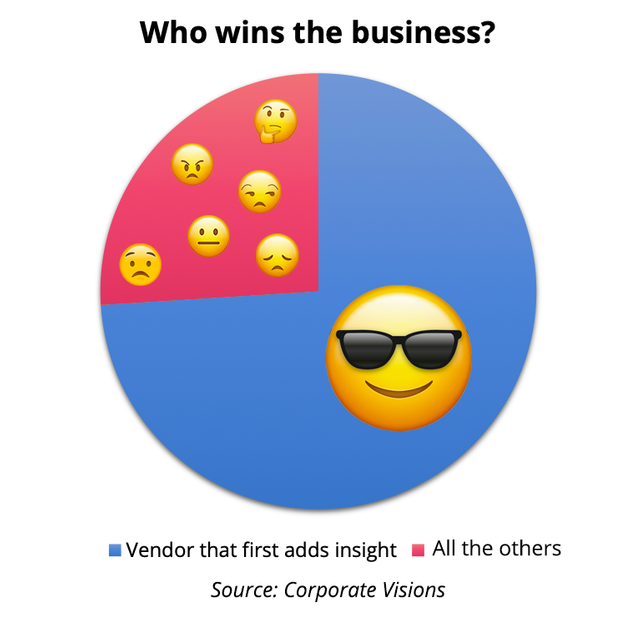 Simply put, the blue part of the pie chart belongs to one vendor, while the remaining red slice belongs to all the other vendors competing for the business. 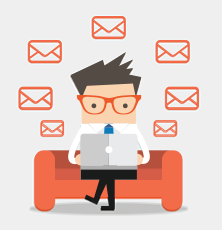 It does ring a little hollow when a salesperson says that they do not have the time to create or distribute content when confronted with a graphic like this. Further, data from Corporate Visions shows that 74% of buyers choose the sales rep that was first to add value and insight.